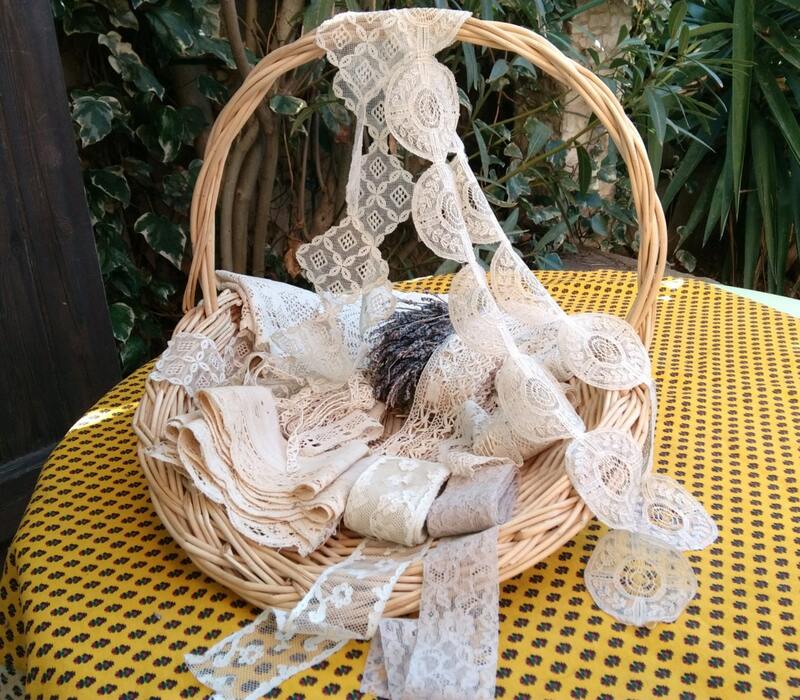 Fantastic Antique French Lace lot Fine Needle Tulle Lace, Bobbin Cotton Lace, Hand crocheted Cotton Lace. 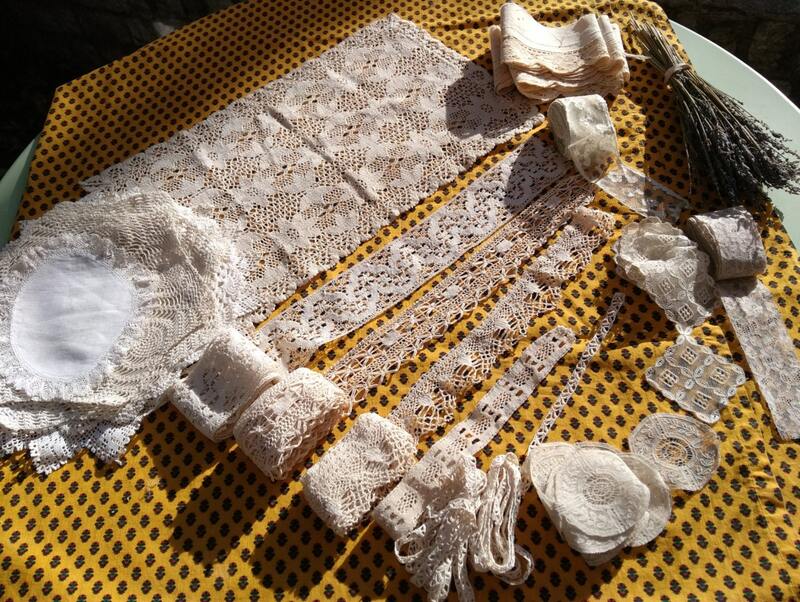 Rare Victorian haberdashery cotton lace band, braids and doilies lot. 18 pieces of Antique French needle and bobbin lace from average 1900's . 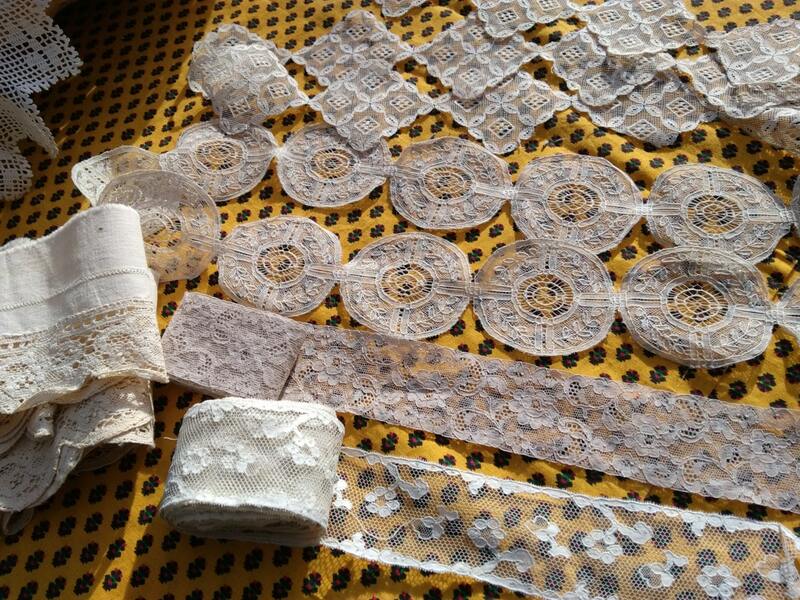 1 x Fine floral tulle needle lace beige cotton, unwashed size : 1.8 X 73 in. 1 x Fine flowered tulle needle lace white cotton, unwashed size : 2 X 203 in. 1 x bobbin lace scalloped off white cotton, unwashed size : 2 X 79 in. 1 x wide bobbin lace "butterfly"off white cotton, unwashed size : 2.5 X 72 in. 1 x square geometrical "cluny" bobbin lace off white cotton, unwashed size : 2 X 112 in. 1 x braid lace off white cotton, unwashed size : 1 X 34 in. 2 pieces x thin bobbin lace off white cotton, unwashed size : 0.3 X 120 + 0.3 x 85 in.= 205 in. 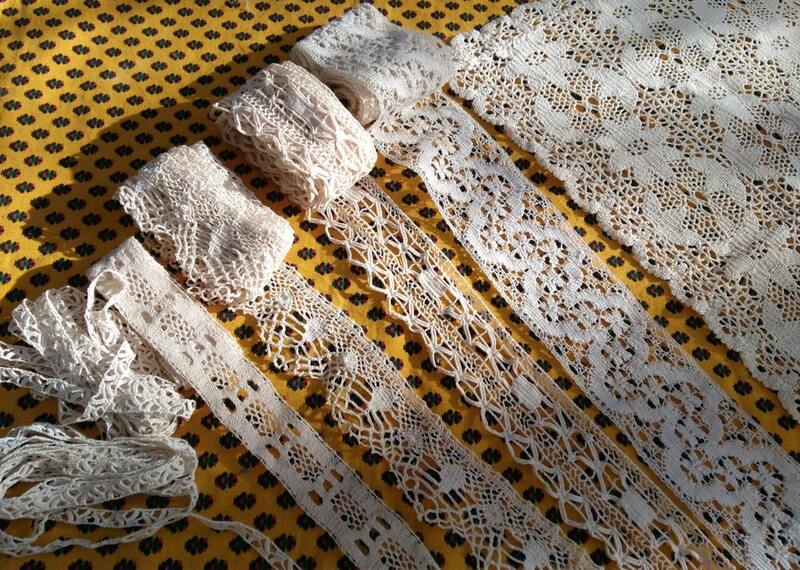 2 x shelf border fabric floral bobbin lace trim scalloped off white cotton, unwashed size : (2 x) 4 X 44 in. = 88 in. 1 x oval doily linen lace trim size : 6.5 X 8 in. 1 x Rectangle doily floral crochet beige cotton size : 12 X 19 in. 1 x small sexagonal "pineapple" off white hand crochet lace and cotton fabric doily : diameter 10 in. 1 x bigger sexagonal "pineapple" off white hand crochet lace and cotton fabric doily : diameter 11 in. 1 x round off white hand crochet lace and cotton fabric doily : diameter 12 in. 1 x round off white hand crochet lace and cotton fabric doily : diameter 13 in. 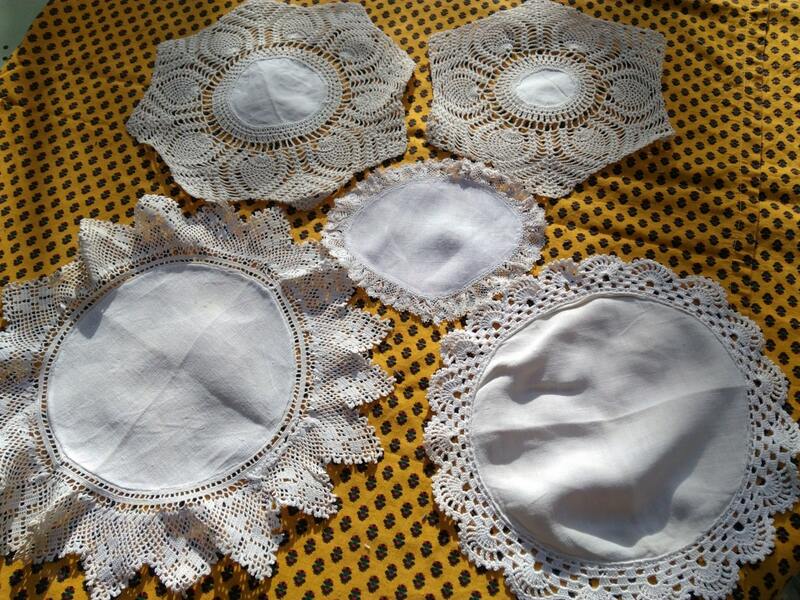 Gorgeous set of antique French haberdashery for sewing projects, fashion, costume design, home decor or to make a rare antique fine antique lace gift!